Increased Control. Greater Insights. Unlimited Convenience. Our Alarm.com solution is for businesses who want more from their access control security system. It goes beyond the swapping of keys for key cards. In fact, it provides benefits that allow you to tighten and refine your security, gain new insights about your business, and handle unexpected situations with the press of a button. 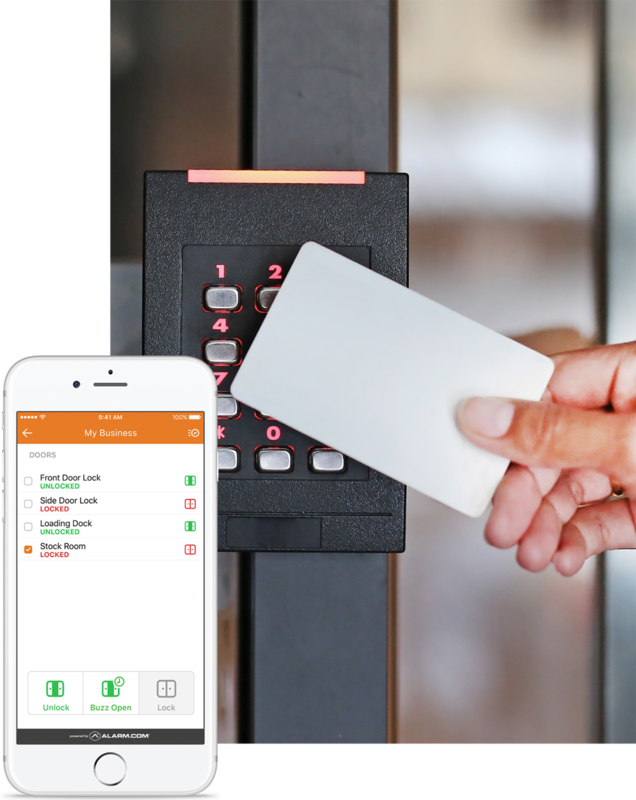 If you’re looking for an access control solution that will do more than just improve your security, this is the solution for you. Not needing a key is incredibly convenient for both you and your employees. Not needing to be at the door? That gives the word convenience an entirely new meaning. 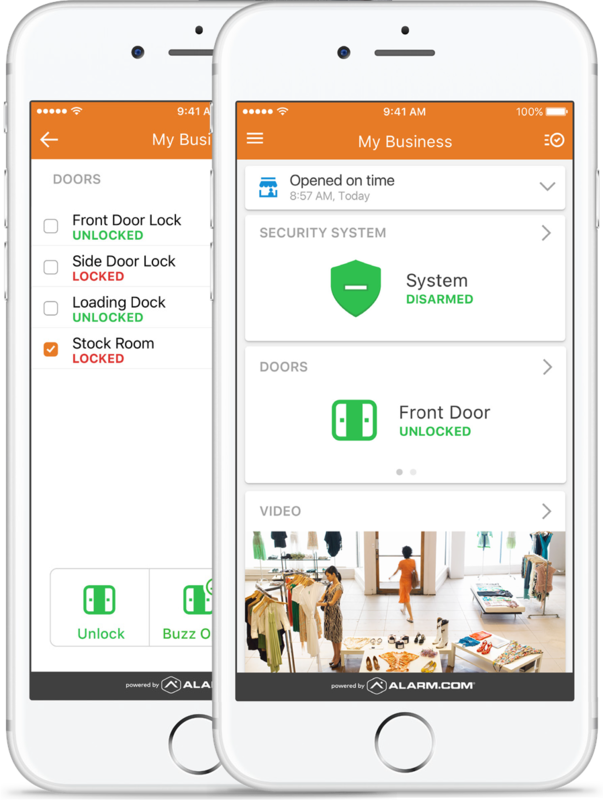 Alarm.com has an incredible smartphone app for businesses that gives you the power to lock and unlock your doors from anywhere. Whether you have a vendor delivery or need to let in a forgetful employee, you can do it from anywhere using your smart device. In addition, keyless entry means that copying keys for new employees and retrieving keys from past employees is no longer an issue. Growing companies often experience growing pains. An electronic access control system can help alleviate or even eliminate the pains caused by old fashioned keys and locks. 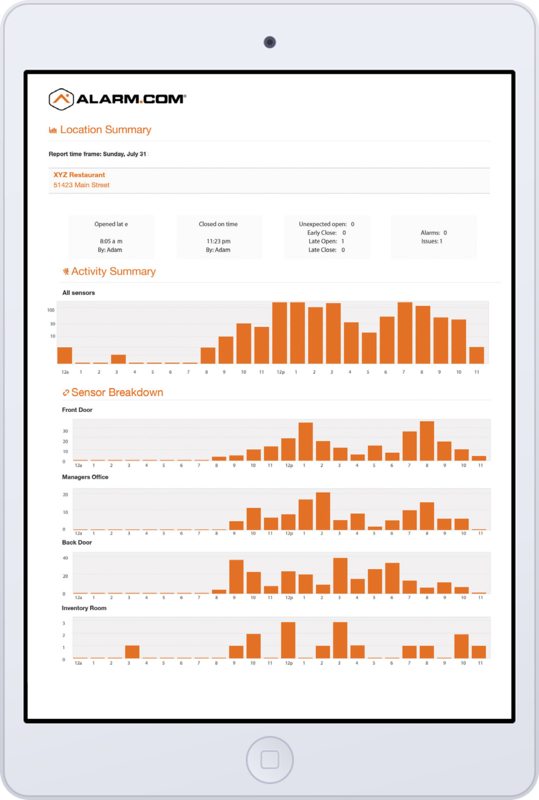 Alarm.com’s dashboard allows you to manage employee access from your smart device. It allows authorized personnel to create a new access device, grant or revoke an employee’s access, and adjust an employee’s access based around their schedule or role. What could this look like for your business? Let’s say you have three employees who need access to different areas of your business at different times. Using the Alarm.com dashboard, you can restrict access to the areas they need to be when they need be there. By limiting who has access to certain areas, the threat of unwanted entry can be reduced. We make it easier for you to stay on top of the little details that keep your business running. How? 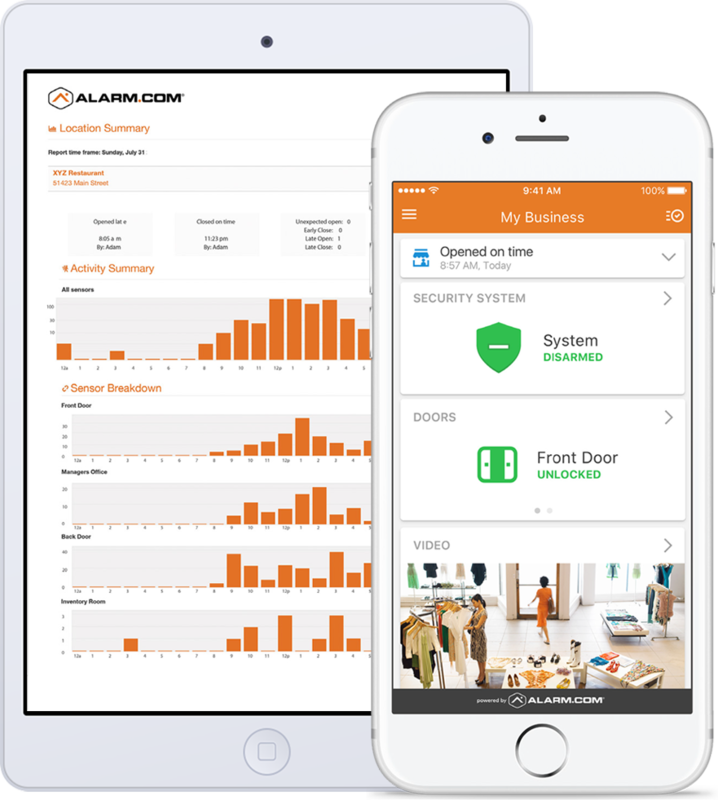 Access control from Alarm.com fully integrates with your intrusion alarm system, giving you the option to receive alerts about any kind of access activity. Did your store open on time? Did an employee prop open your door? Questions like these can be answered using the integrated activity timeline and user code tracking provided by the Alarm.com app. These business insights are provided with the Alarm.com app at no extra cost. If you have 30 locations spanning the country or two locations within one mile of each other, managing multiple facilities can be time-consuming. While we can’t give you the power to be in two places at once, we can give you the next best thing. Using Alarm.com, you can view and manage all of your locations in one convenient place. Lock and unlock doors, set employee permissions, view activity data and more from your smart device. Eliminate worry, enhance your control, and make managing easy with Alarm.com access control from PASS. 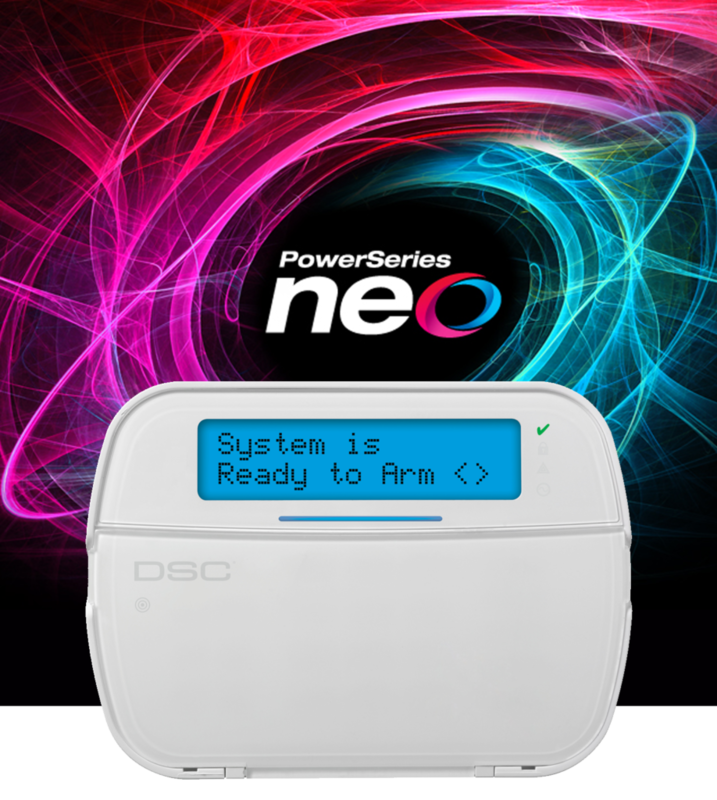 For added functionality, access control from Alarm.com can be seamlessly integrated with your NEO alarm system and your video surveillance system. This integration will allow you to manage your entire security system from one convenient app. You’ll be able to receive notifications, make updates, and set preferences all from the Alarm.com dashboard. 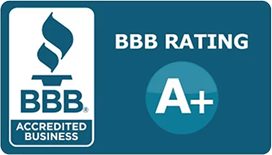 If you’re interested in improving your security AND building a better business, we would love to hear more about your specific security needs. Just fill out the form below to take the first step towards creating a more secure, more efficient, and better-managed business.